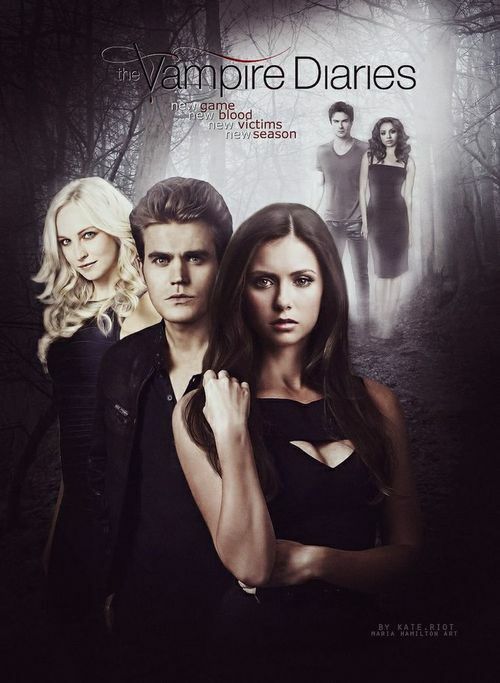 Fan-made Season 6 Poster. . Wallpaper and background images in the 뱀파이어 다이어리 TV 드라마 club tagged: photo the vampire diaries season 6 caroline stefan elena damon bonnie. This 뱀파이어 다이어리 TV 드라마 fan art might contain 초상화, 얼굴, 근접 촬영, 얼굴 만, 세로, and 헤드샷.